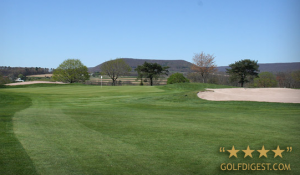 Established in 1967, Sugarloaf Golf Club has long been recognized as one of the area’s premiere public golf courses. 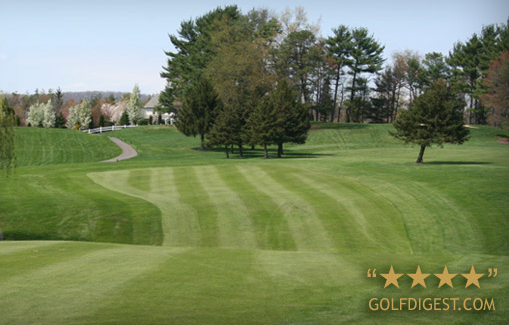 The design of world-renowned golf course architect Geoffrey Cornish has matured over the past 52 years into a course that offers stunning views, beautiful naturalized areas, lush rolling fairways, and greens that are often considered the best in Northeast Pennsylvania. From the forward tees measuring 5577 yards to the championship tees that play at just over 7005 yards, Sugarloaf offers a well-balanced selection of challenges for golfers of all abilities. A spacious driving range and a chipping & putting green round out your practice needs, while a lesson from our teaching Pro, Mike Dulina, will keep your game improvement strategy on target. Arrangements for lessons can be made by calling him directly at 570-401-0607. After your round, relax in our lounge, have a bite to eat, and enjoy the spectacular views from our lounge, or browse our fully stocked pro shop. You’ll find the clubhouse atmosphere casual and unpretentious. But what sets Sugarloaf apart from other golf courses? Sugarloaf Golf Club has always been family owned and operated, and Wayne and Judy Knelly, along with their son (and General Manager) Patrick, invite you to consider Sugarloaf as your golf destination. Patrick and his staff strive to maintain the course in the excellent condition you expect, while Wayne & Judy work hard to make the rest of your experience stand out. Choose Sugarloaf for your next charity or corporate golf tournament, as well as for business meetings and your casual party, shower or wedding! Our rates and packages are very affordable and can be customized to meet your needs. We offer creative solutions to all your event planning needs, from complimentary personalized tournament planning to day of event assistance second to none! We will guide you through the entire process to ensure a successful event. We invite you to visit the course, meet our staff, and allow us to show you our facility. Our Special Events Coordinator, Judy Knelly, recently penned a series of articles to help with every aspect of tournament planning. Please visit our blog to see these articles. Judy was recently named an expert author by Ezine Articles online for her in-depth look at planning a successful event. We are conveniently located near the intersections of I-80 & I-81, just a ½ hour from the NE extension of the PA turnpike and only one hour from the Delaware Water Gap. You can also get Interactive Directions to Sugarloaf …. from your doorstep to ours! Be sure to visit the Sugarloaf 2019 Rates Page!